That's more like it. 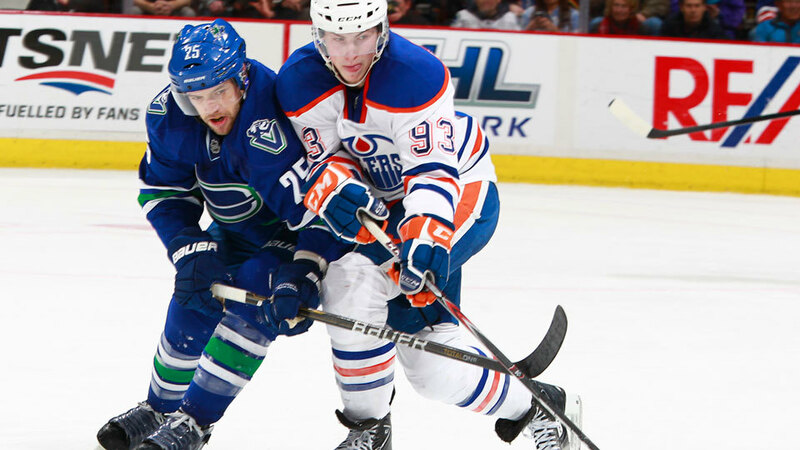 A win over division rivals propels the Canucks into the top spot in the Northwest. 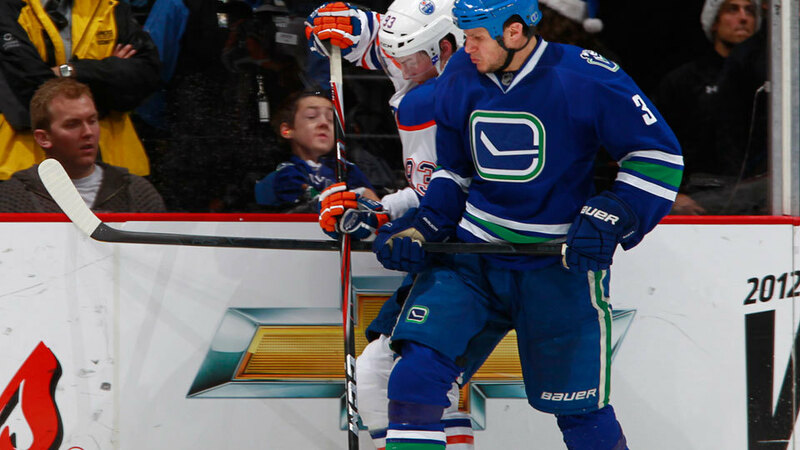 It was a day late, but the Canucks gifted Vancouver fans with a decisive 5-3 win over the Edmonton Oilers on Monday at Rogers Arena. 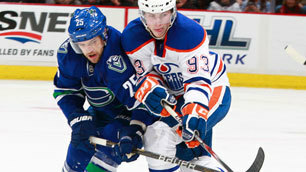 The Canucks annual Boxing Day match–up against the Oilers – the clubs have faced off on December 26 for four consecutive years – is becoming a winning tradition for the Canucks as they emerged victorious for the third straight year. Two days off for the Christmas break did wonders for the Canucks offensive forces. Rested and recharged, each line was rolling from the opening puck drop. 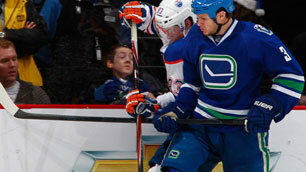 A fast-paced, action-packed affair, the Canucks made Friday’s disappointing 3-1 loss to the Flames a distant memory. Led by a two-goal effort from Andrew Ebbett, 11 Vancouver players tallied points in the win that moved them past Minnesota into first place in the Northwest Division. The Canucks got right to work tonight establishing pressure and were rewarded when Ebbett from Chris Higgins and Kevin Bieksa put Vancouver on the board at 3:11 in the first period. “I thought our start was the difference tonight, we came out with a lot more urgency than we did on the 23rd and had two big goals by Ebby," said Alexandre Burrows. "We were happy with the start." Coming off a big penalty kill Daniel Sedin converted a cross-crease pass from Henrik Sedin for his 14th of the season, putting Vancouver up by two, five minutes after the opening goal. Before the period was done Ebbett had scored again. Breaking into the Oilers zone on a 2-on-1, Ebbett directed a pass from Jannik Hansen past Oilers netminder Nikolai Khabibulin at 16:51 to give the Canucks a 3-0 lead. In the second, the Oilers made a game of it with a powerplay goal from Jordan Eberle, who scored after Dale Weise was given a five minute major for charging and a game misconduct for a hit on Alex Plante. Oiler Ryan Smyth also capitalized on the man advantage but not before Ryan Kesler set up Burrows for a shorthanded goal – his 15th career shorty, which puts him one away from moving into second place for the most in club history. Burrows returned the favour at 3:14 in the third with a little help from Alexander Edler, as Kesler put the Canucks up 5-2. Corey Potter got one more past Roberto Luongo who stopped 18 shots and made some key saves against Edmonton's young stars. There was no post-Christmas letdown in Vancouver tonight as the Canucks created a festive, celebratory atmosphere with their five goal performance. "It's a lot more enjoyable for everybody when you go out there and put your work boots on," said head coach Alain Vigneault. "That's what our guys did tonight." Improving to 8-2-1 in their last 11 games, the Canucks are headed for warmer weather, starting a three-game road trip through California with a match-up against San Jose on Wednesday. Tallying two goals for the first time in his NHL career, Andrew Ebbett helped the Canucks close out their four-game home stand on a winning note. Born in Alberta, but raised in Vernon, BC, Ebbett has three goals in eight games this season. "It’s funny how that works, you get the one lucky bounce off your leg and then the next thing you know you’re 2-on-1 and you’re getting plays and making plays and feeling so much more confident out there," said Ebbett. "I'm thinking it was maybe last year in San Antonio down in the minors," he added when asked the last time he potted two goals in a game. "I'm more of a passer than a goal scorer, but they're always nice when you get two in one night. The 28-year-old, who signed with Vancouver in the off-season, has 22 goals over 153 NHL games with five teams. Ebbett returned to the lineup on December 21 after being sidelined by a broken foot. 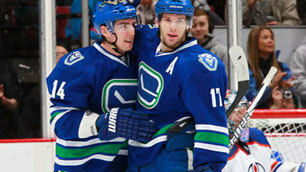 There’s nothing wrong with a little healthy competition between brothers, at least as far as the Canucks are concerned. On the night that Henrik Sedin took over the club’s ironman record with 535 consecutive games played, passing Brendan Morrison, Daniel Sedin had a milestone night as well. Never one to be outdone, Daniel moved himself up in the franchise record books recording his 263rd goal. The marker moved him past Stan Smyl and into third place as the Canucks all-time leading goal scorers. Daniel who has played 822 games as a Canuck now sits only behind Trevor Linden with 318 goals and Markus Naslund with 346. His 14th of the season put Vancouver up 2-0 in the first period and was also Daniel's 30th career goal against the Oilers, which is the most he’s scored against any team in the NHL.